Originally, Jerry Davis started The Davis Company out of his home back in 1974. In 1981 he moved the business to its current location at 460 Broad Street, renting 400 sf of the 7600 sf building. Rapid growth necessitated purchasing the building in its entirety in the late 80’s. He owned the business until 1992 when his son, Randy, purchased the company from him. Randy Davis worked his way through college as a painter. After graduating from the University of Wisconsin – Oshkosh with a B.B.A. in Accounting, he went to work estimating and managing the business for his father. Davis Painting & Decorating has been run by Randy since then with Jerry advising as the shop chief. 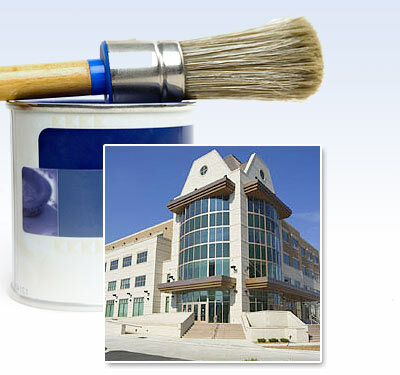 In 2005, Davis Painting purchased a complex of four buildings, totaling approx. 20,000 square feet, to expand their shop finishing operations. This is in addition to the main office location of 7,600 square feet. The purpose is to meet a growing demand for prefinished wood and metal building components such as doors, windows, trim, metal siding, ect. Clients benefit by saving construction time because we complete part of the construction finishing operation off-site. Also, our response time often is faster than purchasing prefinished items from the supplier and saves costly “custom finishing” charges from the factory. We also boast one of the highest journeyman to helper ratios in the business, and also embrace the newest technology and training available to better manage our communications, accounting, and equipment to make our team as efficient as possible. Davis Painting & Decorating is an equal opportunity employer that currently has positions open for experienced, skilled painters as well as positions available for those with the desire to learn. We will train! Contact us for current job openings and a copy of our application.